Since we started AACreATively in October, we have enjoyed getting to talk to and share ideas with some amazing parents and professionals. This is our way of saying “Thanks!” to those of you who have supported the blog. 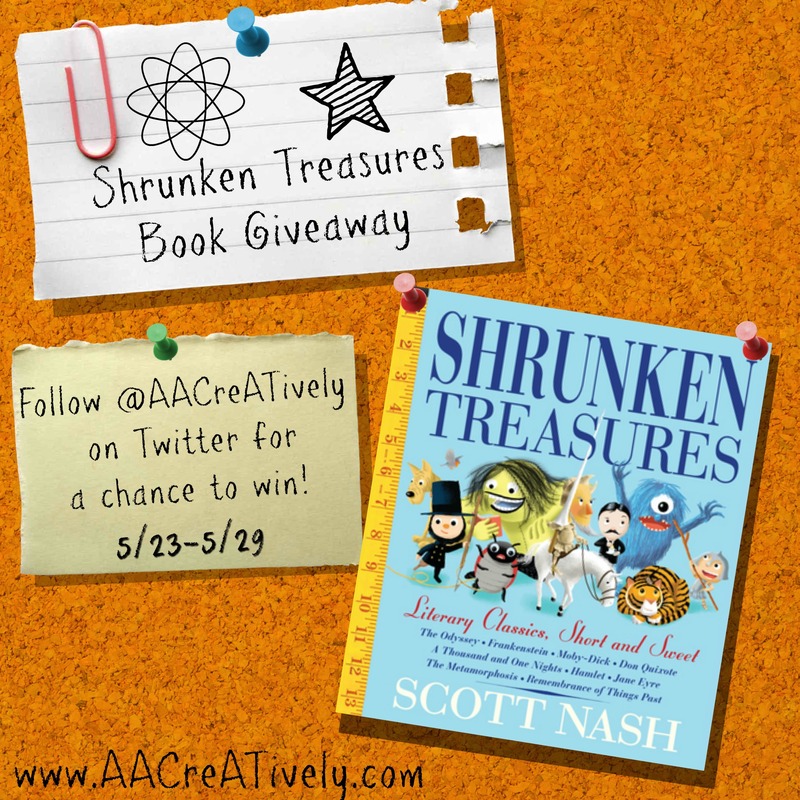 Shrunken Treasures shortens 9 literary masterpieces into beautifully illustrated verse that is appropriate for children of all ages. Good luck and we hope you enjoy this wonderful book!